There's nothing this midwestern girl likes better than when the food of my native land is given a little Mexican twist. I'm talking about Mexican street corn. If you haven't had it, you haven't lived. I first had Mexican street corn at a graduation party and I spent the afternoon scarfing down multiple cobs and not even remotely caring I had kernels stuck in every crevice of my molars. Worth it. 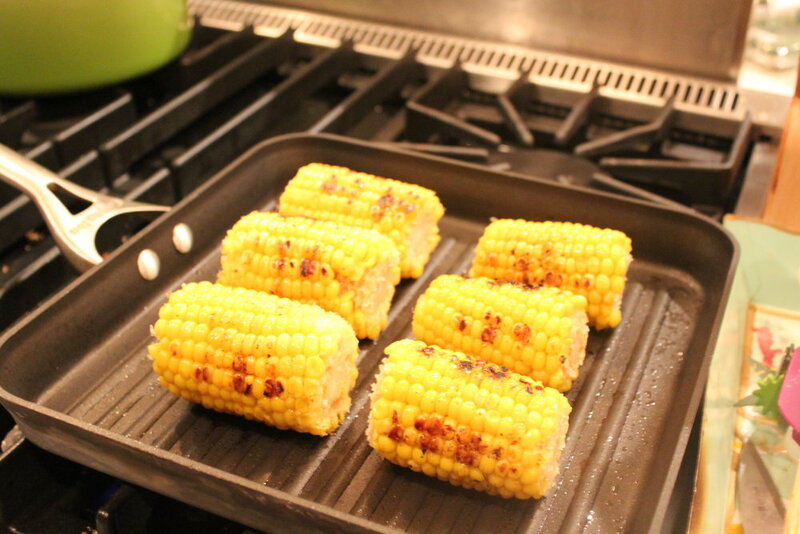 Grill the corn either on a hot grill or a cast iron pan. Grill it until each side is slightly charred. 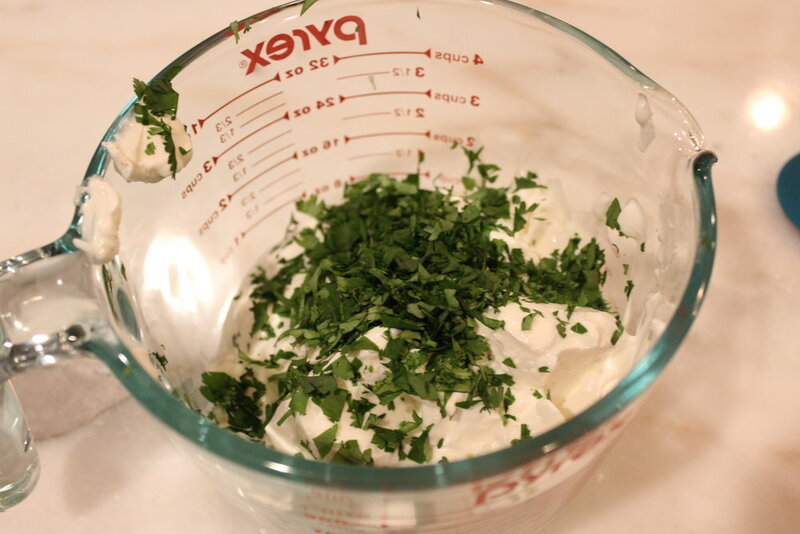 In a small bowl mix the mayonnaise, sour cream and cilantro. Remove the corn from the grill and spread each piece the mayonnaise mix. Squeeze the lime juice over the corn and sprinkle with the Parmesan cheese and chili powder.